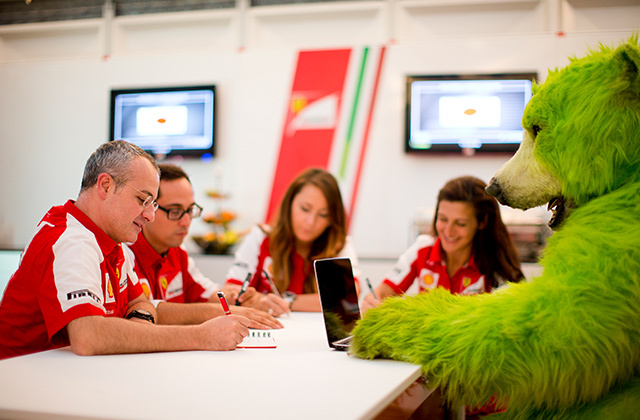 As many of you know, Kaspersky Lab sponsors Scuderia Ferrari, the legendary F1 team. We are also the provider of IT security for them. 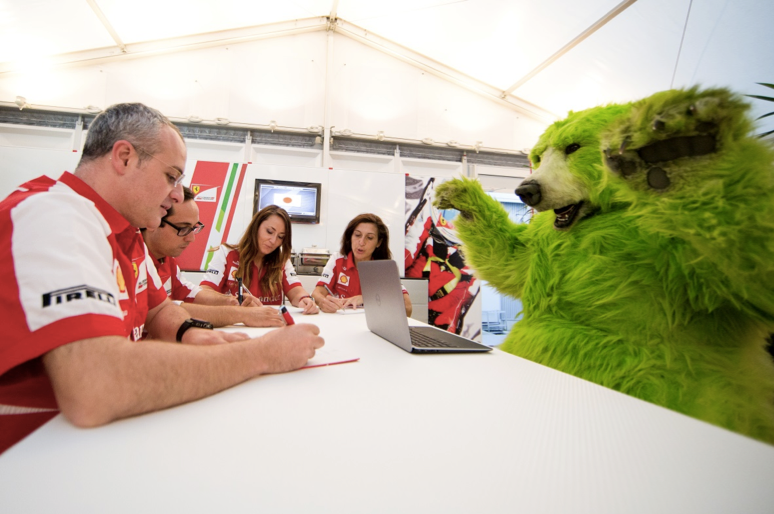 In the last week, just before the Japanese Grand Prix, Kaspersky Lab’s “Greenbear” was invited by Scuderia Ferrari as a VIP guest. 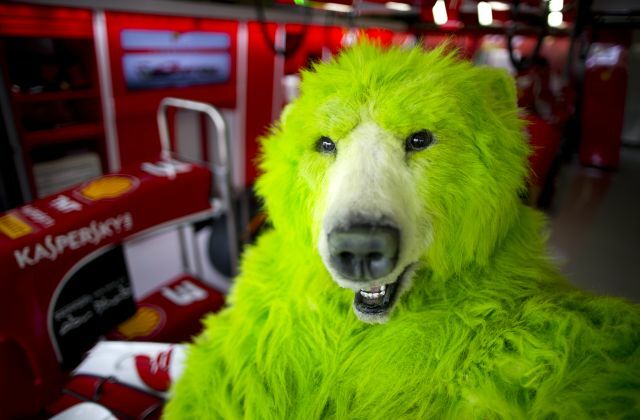 What is the Greenbear? 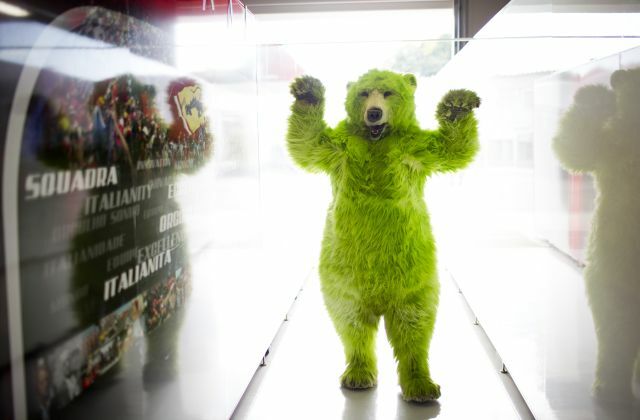 He is the mascot of Kaspersky Lab Japan. To go into more detail, he represents our slogan of “Save the World” or in other words, he is the guardian of the IT sphere who protects you from IT threats. 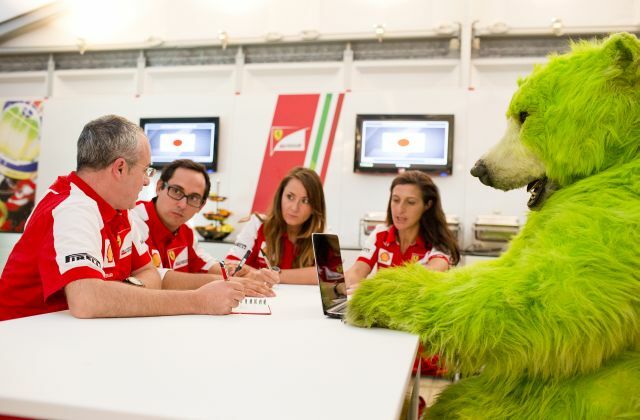 OK, let’s take a look at how his visit went at Suzuka. 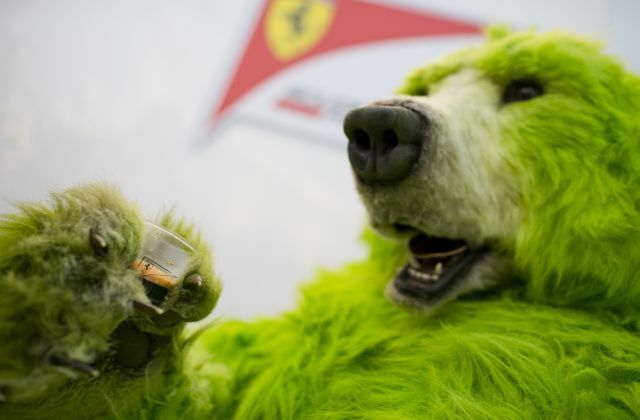 Thank you to everyone at Ferrari for welcoming the Greenbear! 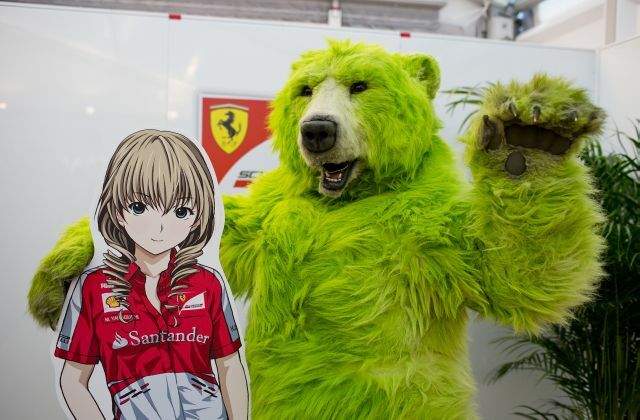 Other than the Ferrari girl, Greenbear made friends with Felipe Massa! 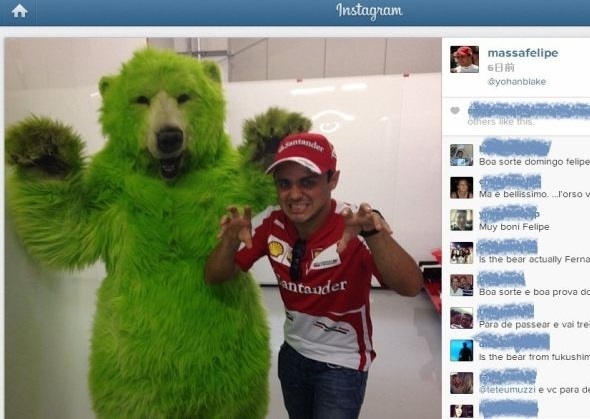 Massa has posted our friend-photo on his Instagram. 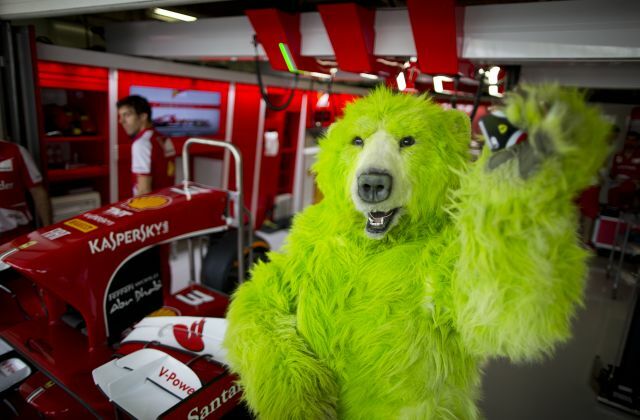 Kaspersky and Greenbear will continue to support Ferrari. Forza Ferrari! !